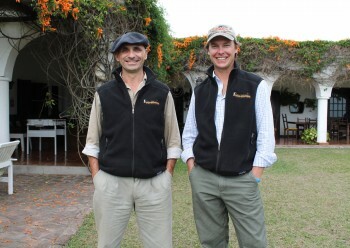 Wing Shooting Argentina is co-owned and operated by American, Justiniano Campa and Argentine, Oscar Dono. Both Wing Shooting Argentina (WSA) and Fly Fishing Patagonia (FFP) are two divisions of one company, one premiere outfitter specializing in the finest wing shooting and fly fishing and opportunities in Argentina. Since the late 90’s, we’ve had one mission: To have every guest claim that their trip to Argentina was the best hunting/fishing trip they have ever experienced. Therefore, we started with three concepts, world class sport, great service and integrity. Today, Wing Shooting Argentina & Fly Fishing Patagonia expand 5 Argentine provinces and are respected names in Argentina sporting travel. We’ve always thought that our integrity would be appreciated. Unlike many outfits, we never promise what we can’t deliver. When you call us, you won’t get a sales pitch or superlatives, just friendly, honest advice from fellow sportsmen who happens to know a great deal about hunting and fishing in Argentina. If our operation does not fit your needs, we’ll only tell you what we can offer. If you don’t use us for that trip, you’ll probably use us on the next. 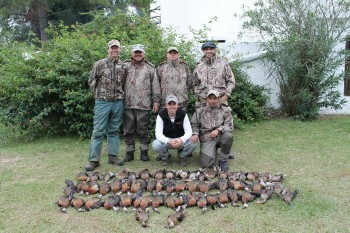 For the next 30 years, we plan to be hunting and fishing in Esquina, Argentina. Therefore, we must be stewards of wildlife populations and respect all laws and limits. We contribute to our community by employing locals and distributing game to those in need. Over the years we have supported communities and organizations in Argentina and the US. It’s our way of protecting our wild areas for the health and enjoyment of our children and preserving our sport and outdoor life style. We are motivated by ducks turning to a call, the excitement shown from new clients, and by the gratitude expressed from a departing guest who can’t find the words to thank us enough. Delivering successful hunting and good service is still priority number one. We hope you will consider using us for your next sporting adventure in Argentina and we sincerely thank you for your business.